I AM actually making an effort to get over my gratuitous March spending, but April is turning out to have a lot of stumbling blocks. Something about springtime makes me want to have dinner and drinks out every night! Ugh. While I’ve managed to keep it mostly in check, my biggest challenge is coming up in 2 weeks. I’ve been invited to be a guest at the White House Correspondents dinner. Woo hoo! I was actually lucky enough to go last year, and it was a blast. The best people watching ever – there were movie stars literally everywhere. It was totally cool and very intimidating. To give you a sense, here’s my favorite picture from last year. 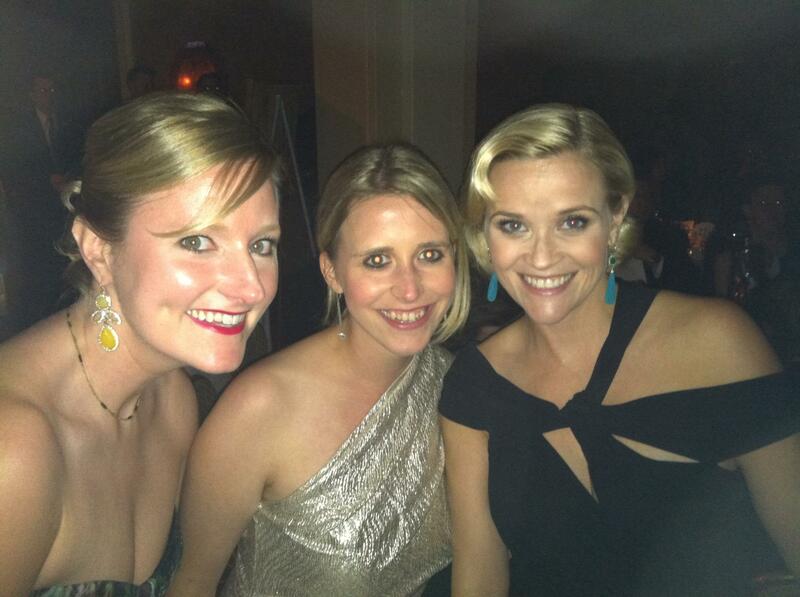 It’s just me, my table mate (who was very nice), and our good buddy Reese Witherspoon. NBD. Reese was super pregnant in this picture BTW, and you can’t even tell. Totally sickening. Anyway, I can’t just show up to this thing in some old frock when there are people running around looking as awesome as (pregnant) Reese. But, then again, I don’t really need to be spending a zillion dollars on a new ensemble either. Hence the dilemma. Last year, I bought a new dress, earrings, and lipstick (Note: Due to my new years resolutions, I haven’t bought a new lipstick since January. It’s KILLING me.). I also had my hair done (we all know that Reese didn’t do that herself! ), and hopped an Uber to and from the event. Obviously, I ran up quite a tally. This year, I’m attempting to do it for a fraction of the price. My goal is to get it all – new dress, hair, everything – for $150 or less. For dress, I’m looking at Rent the Runway, eBay, and other consignment stores (Current and Ella-Rue are my favorites), but haven’t found anything yet. The hair is also a challenge. Despite all of my googling, yelping, and other general research, I cannot seem to find an updo in DC for less than $80 plus tip. $80 to stick my hair in a bun. No thank you. Obviously, I have my work cut out for me in the next two weeks. I’m not afraid to do things by myself – I just don’t want to look like I did it myself. Make sense? What do you think – can I do it? If you have any suggestions to help my cause, please send them my way! I can use all the help I can get. P.S. 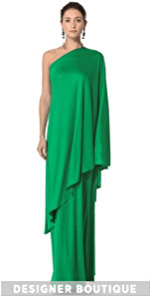 If I had unlimited funding (Read: $1,990), I would wear this. Sooo awesome. So much fun! I am with you on the hair issue. I got my hair done at the cheapest place ever (Mimosa) before an Inaugural Ball this year and (1) it did not look great, and (2) it was falling out all night. Definitely not worth the $60ish I shelled out for it. On this one I say go big or go home. I don’t know how much her up-dos are, but I cannot recommend my stylist highly enough – Tracy at Silk Salon in Clarendon. She is awesome and always does an amazing job for me! Good luck and take lots of pictures!!! I thought about that! They did just do a great job on me for a wedding. I was just thinking that an updo would look more polished. Your dress from last year was great, why not just re-wear it? I hate to tell you, but no one else is going to remember it from last year.